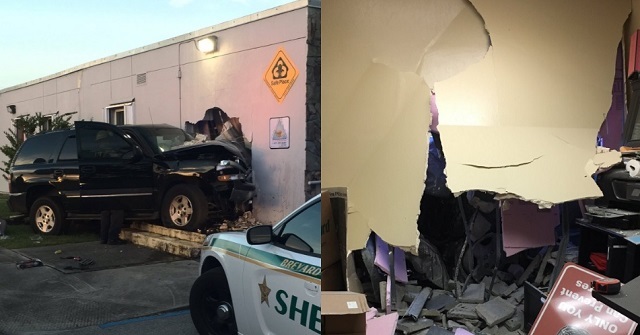 COCOA, Florida - An SUV came crashing through the wall at the Brevard County Fire Rescue Station 44 located at 3780 West King Street (State Road 520) in Cocoa, Florida. Brevard County Fire Rescue crews inside the station rendered aid to the driver and passenger immediately after the crash Monday evening. 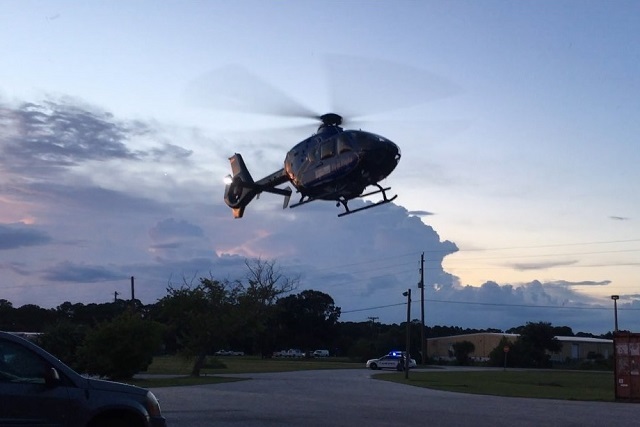 One patient was a trauma alert and was air lifted from the fire station's parking lot by medical helicopter. Brevard County Fire Rescue personnel were not injured in the crash. Despite the damage to the wall caused by the crash, the station remains open and operable.